Chris Rush Reading & Book Signing. 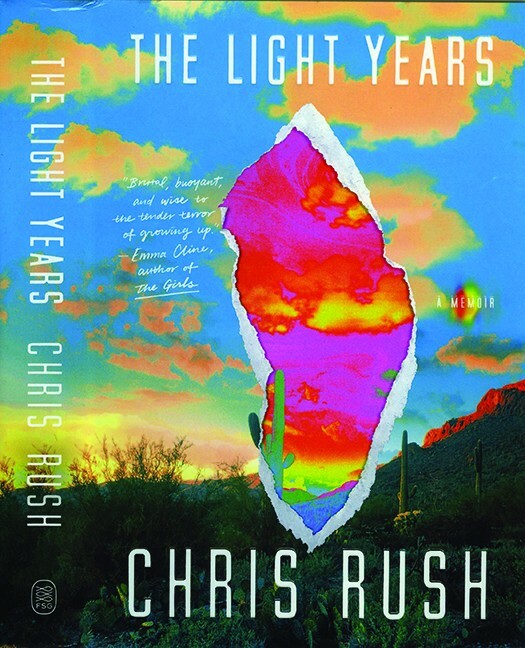 Chris Rush is an award-winning image and text artist who lives in Tucson, and who just wrote his first book, a coming-of-age memoir set against the social upheaval of the late 1960s full of delicious lines like this one, about buying LSD from a girl with a sign reading "California's Best Acid": "Orange hair and freckles, she gushed, 'These tabs are from Berkeley, handmade with gold glitter by my friend Gregory, who is super interesting. One dollar, or three for two. I took one this morning to stay clear. It's really fresh.' I smiled at her, in love with love." SIGN US UP. This is also one of only five book signings Rush has planned for the year, and the only local one, so don't miss it! 3 to 5 p.m. Saturday, April 13. Etherton Gallery, 135 S. Sixth Ave. Free. Southern Arizona Senior Pride Book Club. There's nothing like finishing a great book and then discussing it with a group of people who enjoyed it just as much as you did. Three cheers for book clubs! This month, Tucson LGBTQ+ seniors are meeting to discuss Colson Whitehead's The Underground Railroad. Both a Pulitzer Prize winner and a New York Times #1 bestseller, the book tells the story of two slaves in the 19th-century United States who try to escape to freedom through the Underground Railroad, which, in this telling, is a literal rail system. 2 to 3:30 pm. Wednesday, April 17. Ward 3 Council Office conference room, 1510 E. Grant Road. Free. The Tucsonics. Did you know there are free concerts at Monterey Court every third Tuesday of the month? Well, now that you do, how could you miss them? This month, Alvin Blaine, Nick Coventry, Evan Dain and Matt Mitchell are serving up some Western swing and Django Jazz from the '30s, '40s and '50s. We're talkin' twin fiddles, steel, a standing bass and covers of folks like Milton Brown and Gene Autry. You're probably going to realize this is just what your Tuesdays are missing. 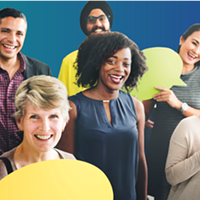 6:30 to 9:30 p.m. Tuesday, April 16. Monterey Court, 505 W. Miracle Mile. Free. Sundays in the Garden: Dos Sueños. Everybody loves a good violin and guitar, husband and wife, Latin and tango duo. And pretty much everyone enjoys all of those things even more in a nice garden setting, perhaps with a prickly pear margarita or lemonade in hand. Tohono Chul has got you covered with this week's performance. Johny and Katie Vargas perform classical music, their own arrangements and acoustic covers of popular songs. Both are UA grads now working toward their master's degrees in music education at ASU. Come sit in the garden and let your troubles float away on the sounds of their string instruments. 1:30 to 3 p.m. Sunday, April 14. Tohono Chul, 7366 Paseo del Norte. Free with admission, which is $13 adults, $10 military & student with IDs and seniors, $3 for kids 5 to 12 and free for kids under 5 and members. The Marriage of Figaro. With a libretto by Lorenzo da Ponte and music by a composer named Mozart you may have heard of, this comic opera is one of the most commonly performed operas today. It tells the story of two servants, Figaro and Susanna, who are about to get married. But then, Figaro's master Count Almaviva decides he wants Susanna for himself. How do they untangle this love triangle and get everyone in Seville their own happy ending? Only one way to find out—go see Arizona Opera's rendition of it. 7:30 p.m. on Saturday, April 13, and 2 p.m. on Sunday, April 14. Tucson Music Hall, 260 S. Church Ave. $25 to $130. La Boutique Fantasque & Les Sylphides. April is the perfect time to treat yourself to a one-act ballet about two can-can dancers falling in love in a magical toyshop, put on by the Tucson Regional Ballet, wouldn't you say? This 1919 ballet has elements of mime, folk dance and comedy—in addition to classical ballet. For dessert, Fokin's masterpiece Les Sylphides, one of those pretty ballet blancs where all of the dancers wear white tutus, and often cited as the first ballet to just be about mood and dance with no narrative. 2 p.m. and 7:30 p.m. Saturday, April 13, and 2 p.m. on Sunday, April 14. Leo Rich Theatre, 260 S. Church Ave. $18 to $20+. Considering Matthew Shepard. In 1998, Matthew Shepard, a young, gay college student, was kidnapped, beaten, tied to a fence and left to die in Wyoming. When he died, the world noticed, and composer Craig Hella Johnson took note. This Grammy-nominated three-part oratio combines spoken word, cowboy songs, American hymns and popular songs, spirituals, jazz and more to tell this powerful, at times overwhelming, and even sometimes hopeful tale. UA Presents is putting on the show. 7:30 p.m. on Tuesday, April 16. Centennial Hall, 1020 E. University Blvd. $19 to $50. International Wildlife Museum Eggstravaganza. We'll just say it: An eggstravaganza is an eggstravaganza, no matter which way you crack the egg. 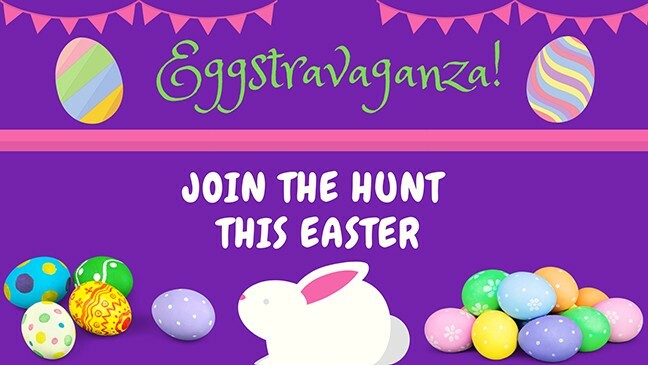 So, yeah, this eggstravaganza is a lot like the last one: There are crafts, games with prizes, plenty of candy, an Easter egg hunt and an appearance by the Easter Bunny. It just depends on which works best with your sch-egg-ule. Everything is included with museum admission. 10 a.m. to noon. Saturday, April 13. International Wildlife Museum, 4800 W. Gates Pass Road. $10 adults, $7 senior/military, $5 kids 4 to 12, free for kids 3 and under and for museum members. Celebrate Oro Valley. The Oro Valley Farmer's Market is at Steam Pump Ranch every Saturday, and before the weather gets too hot, they're still having events like tours of the Pusch House Ranch and live music. This week is Celebrate Oro Valley, featuring the music of artists like David Rychener, Cochise County All-Stars, the Hot Lizards and more. PLUS, photo and art shows, a petting zoo, an antique fair, crafts for kids, hands-on archaeology and tons more activities hosted by local organizations. 9 a.m. to 2 p.m. Saturday, April 13. Steam Pump Ranch, 10901 N. Oracle Road. Free. Spring Fling. Tucson is a constant surprise. To the uninitiated, there's all sorts of unexpected records, like it being home to one of the largest gem shows in North America, or it being such a gastronomical destination. This week's Tucson near-superlative? One of the largest student-run carnivals in the nation. Spring Fling is celebrating 45 years of food booths, games, entertainment and more than 30 carnival rides helping desert dwellers to ring in the spring. 4 to 11 p.m. Friday, April 12; 11 a.m. to 11 p.m. Saturday, April 13; 11 a.m. to 6 p.m. Sunday, April 14. UA Campus East Mall. Admission closes one hour prior to closing. $5 GA, or free for CatCard holders, military ID holders and kids under 7. Discounts available for groups like alumni and students available on other days. Tickets are $5 for 10. SAHBA Home & Patio Show. It's here! Or should we say "they're here?" Because more than 300 exhibitors are coming to town. You want a new spa? Come and get it. How about products and inspiration for how to remodel your kitchen, bathroom, bedroom or outdoor landscape? Oh yeah. Fancy household gadgets with demonstrations you will be unable to tear yourself away from? You bet. There's even face painting on Saturday for the kids! 10 a.m. to 6 p.m. Friday, April 12 and Saturday, April 13. 10 a.m. to 5 p.m. on Sunday, April 14. Tucson Convention Center, 260 S. Church Ave. $8 GA, free for kids 12 and under. Military discounts every day and half-price admission for seniors 50+ on Friday. Visit sahbahomeshow.com for a $2 coupon. Free parking. 20th Annual Master Gardener Home Tour. Springtime is the perfect time to take a tour of four of the most beautiful and creative gardens in Tucson, grown and maintained by the Pima County Master Gardeners. And 2019 is the perfect time for the theme of the garden tour to be "water wise," so you can learn about the best way to collect rainwater, get some xeriscaping started and select native and desert adapted plants to help conserve one of our most precious resources. The Demonstration Gardens at the UA's Cooperative Extension Service will also be open for touring at 4210 N. Campbell Ave. 9 a.m. to 3 p.m. Saturday, April 13. $15 to $20. 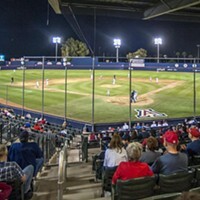 Four locations listed at extension.arizona.edu. HoTArt. Heart of Tucson Art is an artist-organized, artist-run tour of studios all over the city. It's your chance to wander around town seeing works by artists like Angela Red Heart Woman Flanagan, who was given the name Red Heart Woman when she was culturally adopted by a Lakota/O'odham family, and who makes paper mâché art (3054 N. First Ave.) or Catherine Pearson, who says she uses photography to better understand reality (3935 N. Country Club Road). Not to mention mosaics, ceramics, metalsmithing, jewelry, paintings, drawings and fiber art galore. The tour is 10 a.m. to 4 p.m. on Saturday, April 13, and Sunday, April 14. See heartoftucsonart.org for more info on gallery locations. Second SundAZe Family Day @ TMA. Happy Earth Day! Celebrate with Mr. Nature over at the Tucson Museum of Art, where there will also be art-making activities and a performance by Patricia Carr Morgan—the final performative element of her Blue Tears exhibition. Morgan's performance is at 11 a.m., Mr. Nature's is at 1 p.m. and the part where you get in free lasts all day, so you'll have plenty of time to spend some time outside in nature today as well if you'd like. 10 a.m. to 5 p.m. Sunday, April 14. Tucson Museum of Art and Historic Block, 140 N. Main Ave. Free. Arizona History Tour. Quick! 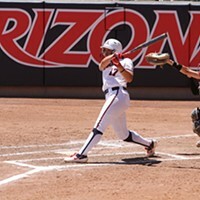 Give us your best University of Arizona historical trivia. How about that soldiers training for WWI were among the first to use the school's infirmary (which was where the Koffler Building is now)? Or that a big ol' line of students holding buckets of paint all banded together to whitewash the "A" on Sentinel Peak in 1954? At this tour, an alumnus will show you around campus and teach you about some of the campus' history and traditions. Reservations required, so call 621-5130 or visit visitorcenter.arizona.edu. 10 to 11:30 a.m. Wednesday, April 17. UA Visitor Center, 811 N. Euclid Ave. Free. Sharks: Magnificent and Misunderstood. Have you checked out the local planetarium's exhibit all about sharks yet? Nope, not a typo. Just a cool opportunity to learn more about all the species of shark out there, to take a photo next to a massive pair of shark jaws and to take the controls of a simulated deep-sea research explorer. Flaundrau is also doing a fulldome planetarium show called Great White Shark, all about those scary but fascinating fellas. See Great White Shark this week at 7 p.m. on Friday, April 18; 2 p.m. and 7 p.m. on Saturday, April 19; and 2 p.m. on Sunday, April 20. Flandrau Science Center & Planetarium, 1601 E. University Blvd. $16 GA, $12 for kids 4 to 17, seniors, military and college students with ID. GABA Bike Swap 2019. There ain't enough room in this town for the two of us, but there is room for the largest bicycle swap in the southwest. Seriously, this puppy attracts more than 5,000 people and 40+ vendors twice a year. And it's part of the Living Street Alliance's Bike Fest, going on throughout April, which also includes things like an Enchanted Hills Mountain Bike Trails build day on Saturday, April 13, and community bike rides on several dates. If you're mostly in it for the swappin', your best bet is 7 a.m. to 1 p.m. Sunday, April 14. 400 N. Fifth Ave. Free. Old Tucson 80th Anniversary Weekend Celebration. It's sort of funny that, at 80 years old, Old Tucson is younger than regular Tucson, at more than 240 years old (or considerably older, depending on how you figure its age). But an anniversary of one of the Old Pueblo's most beloved attractions is always a good reason to celebrate. Alumni performances, featuring can-can girls and stunt actors from years' past, will abound, 43 Miles North will be performing cowboy western classics and there will be plenty of other ceremonies and surprises throughout the weekend. Sunday night even has a screening of the 1940 classic that started it all, Arizona! 10 a.m. to 5 p.m. Saturday, April 13 and Sunday, April 14. Old Tucson, 201 S. Kinney Road. GA $19.95, child, $10.95, with discounts for senior, military, Pima County residents, arrival between 3 and 5 p.m. and groups. City Market and Dive-in Movie. The AC Hotel by Marriott is sponsoring five markets throughout the year to celebrate the five distinct seasons of the Sonoran Desert. The spring one is this Saturday, and will highlight artists and entrepreneurs from around town, including a floral designers, photographers and people selling handmade home décor. Afterward, head to the "Dive-in" movie, and watch Finding Nemo in the hotel's rooftop pool. Tickets come with a free drink (nonalcoholic options available) and fresh popcorn! 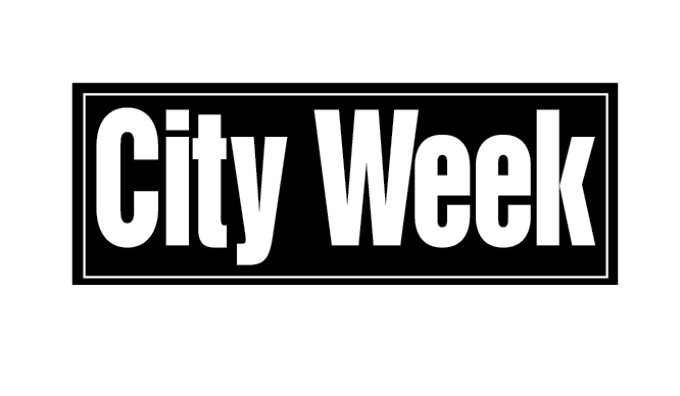 City Market is from 4 to 7 p.m. and the movie is from 7 to 9 p.m. Saturday, April 13. AC Hotel by Marriott Tucson Downtown, 151 E. Broadway Blvd. Market is free and movie is $10. Dear Diary. Is there anything more cringe-inducing than reading an old diary? We can't think of anything. 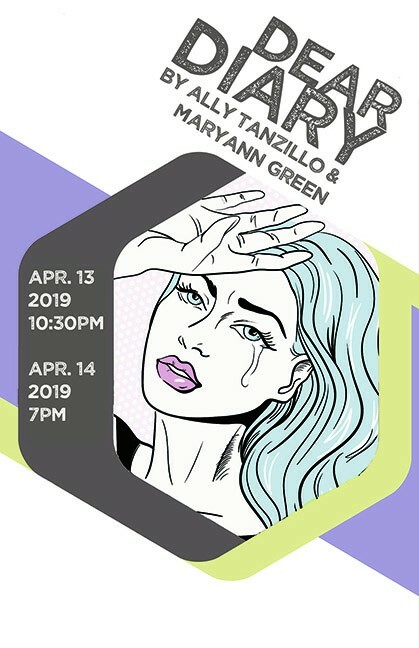 Ally Tanzillo, who began taking classes at Live Theatre Workshop when she was 9 years old and is now part of the improv duo Ex-Boyfriend, was partly inspired to put together this show from rereading her own diaries. Then she asked for submissions of old diary entries and letters to put together this hilarious show. In her own words: "Young people are so intense, but they don't have any context. I can't believe how serious I was about the lists I made—favorite albums, boys I thought were cute...And when I read submissions from others and talked to people for this project, I noticed that every person had a story in which he or she felt alone, but no one really was. That really struck me." 10:30 p.m. on Saturday, April 13, and 7 p.m. on Sunday, April 14. Live Theatre Workshop, 5317 E. Speedway Blvd. $10.